While attending college in Reno during the day, Stewart was shaking cocktails by night. He loved it… and learned through experience and research. Stewart moved to Lake Tahoe after he graduated and started working at PlumpJack Squaw Valley Inn. Stewart completed Bar Smarts in 2013 and his Introductory Sommelier course in June 2014. PlumpJack is widely known as having the best craft cocktail menu in Tahoe, and Stewart helped it become what it is today. He is nearly a decade into his bartending career and the wealth of characters who have sat across from him at the bar have always challenged him with their requests of dry, sweet, sour, and strong, showing him that the best way to accomplish their commands is by asking questions. Stewart ask questions because life is too short to drink a bad Manhattan. Jake has been working in the beverage industry for the last 20 years. 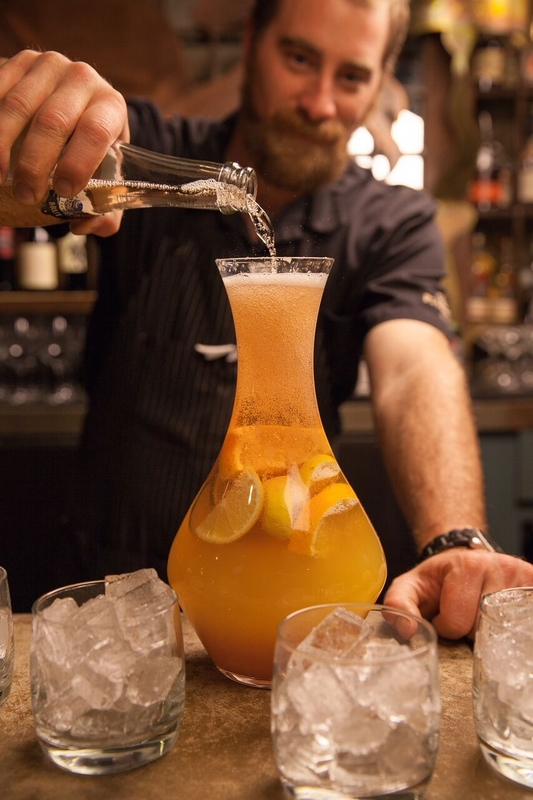 Since moving from New York to Lake Tahoe, California in 2002, he's helped open two bars, worked in many, and has been the bar manager and head bartender for PlumpJack Squaw Valley Inn for the last several years. He is constantly absorbing knowledge about wine, spirits and beer, practicing the art of mixing cocktails, and studying the history of beverages while following the current trends. He is also inspired by his extensive travels throughout the world. He is now the Lake Tahoe ambassador for the United States Bartenders' Guild (USBG), BarSmarts Advanced Certified, and a Certified Sommelier.